• We have been located in the same location since 1969 in S.E. Portland. • We remanufacture all types of engines from flat heads to overhead cams. • Automotive , light truck, Industrial and Marine applications. • We are now 2nd generation operating with a combined 110 yrs experience. • Everything we do is custom built unlike mass production shops. With 40 years at the same location we thrive on customer service and your satisfaction. We are known for our rebuilding of flatheads to current technology, from stock or high performance strokers, also inboard marine and forklift engines. We also provide services for light diesel from inline 6 cylinder, Dodge, Cummins, Ford, Perkins, and other applications. We also offer engine kits for all of the above as well as import parts from Acura to Toyota. Additionally, we provide services for removing broken bolts, drill bits and ez outs. In most cases we can save the threads or we can install a full steel threaded insert. Our full service machine shop can also provide complete machining of heads, crankshafts and blocks for agricultural farm tractors and equipment - John Deere, Ford, Kubota and Massey Ferguson tractors. We also offer complete engine kits for most domestic built tractors. Call us for a price quote. We also provide service for Cummins, Ford and Perkins diesel engines. Our services range from pressure testing, tube installation and CNC surfacing on most diesel heads. Our block work includes checking counter bore, cam bearing installation, block decking and installation of cylinder sleeves. 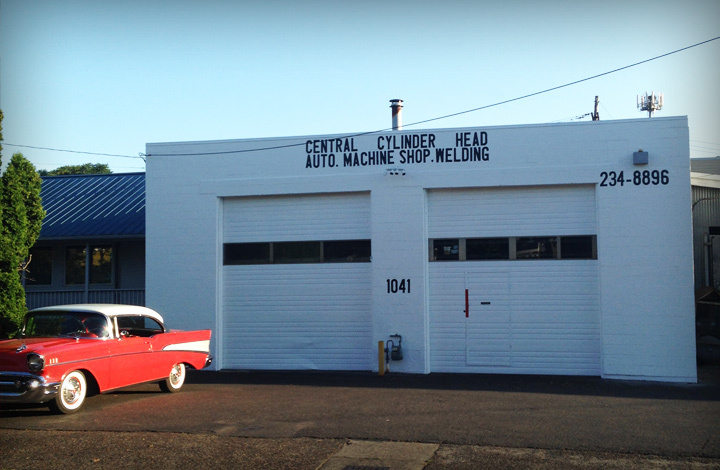 Central Cylinder Head also offers a complete line of performance parts. From Comp and Crane camshaft kits, Eagle Crankshafts, Melling oil pumps to Fel-Pro gaskets. We can handle any performance parts needed to complete your performance rebuild kit for most all applications. Don"t forget to check with us for complete engine kits for your farm tractors or diesel equipment. We offer very competitive pricing and high quality component kits. Copyright © 2019 · Central Cylinder Head, Inc.